Present state: The down platform is still extant with some rotting of the timbers. An earth mound marks the site of the up platform. The concrete loading dock can still be seen at one end of the down platform. A public footpath (The Lambourn Valley Way) runs through the station site and a public car park for the Welford Park Estate is sited to the west of the station on the site of the goods yard and sidings. Notes: The station was named after the nearby private estate of Welford Park; it served the villages of Welford, Wickham and Weston. 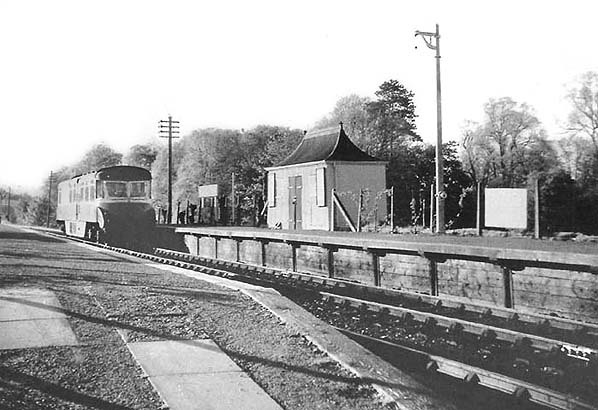 The original station had a single 9" high platforms but was reconstructed by the GWR in late 1908 with the addition of a signal box, passing loop (making it the only crossing place on the line), and a second platform. Corrugated iron pagoda waiting shelters were provided on each platform. In common with all the intermediate stations on the line the platforms were topped with cinders and fine gravel while the leading edges were built of sleepers. Rails sunk vertically into the ground supported the entire structures throughout their length. A signal box and booking office was located at the Lambourn end of the up platform. Welford Park was always a quiet station, apart from Newbury market days, passenger receipts were minimal but goods traffic provided returns for the branch. Small quantities of coal were handled but little or no milk was forwarded from the station, the main income being the conveyance of watercress grown in the nearby river Lambourn, agricultural commodities and small amounts of timber. There was little increase in freight traffic following the opening of the US airbase at RAF Welford during WW2 but in 1942 a concrete loading dock was built at the end of the down platform to cater for additional livestock and the occasional wagon load of supplies for the camp. 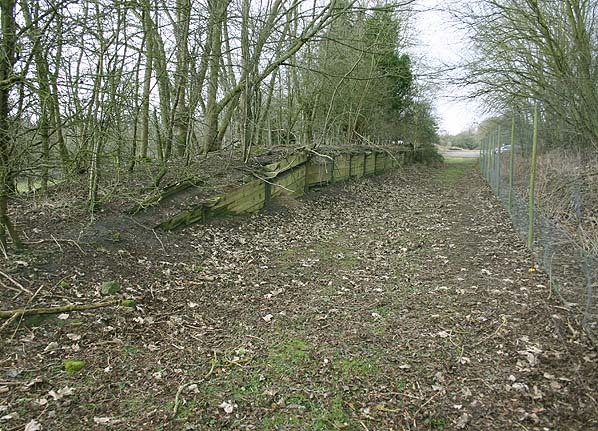 There was some increase in traffic when a three mile spur to RAF Welford was built in 1952 and exchange sidings for the airbase branch were sited to the rear of the up platform. 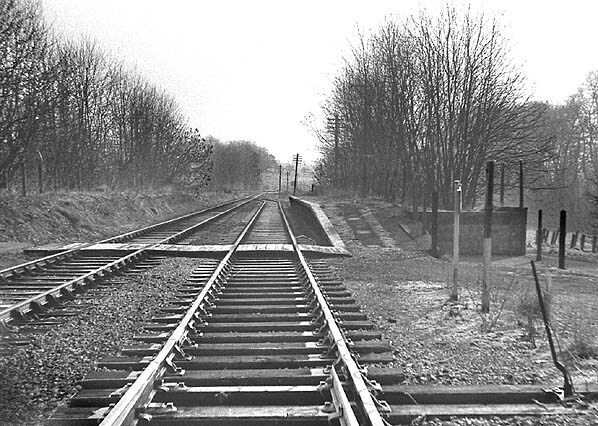 Welford Park Station looking south in February 1969. By this date the up platform had been removed leaving an earth mound to indicate its position.